April 15 started out as a true celebration. 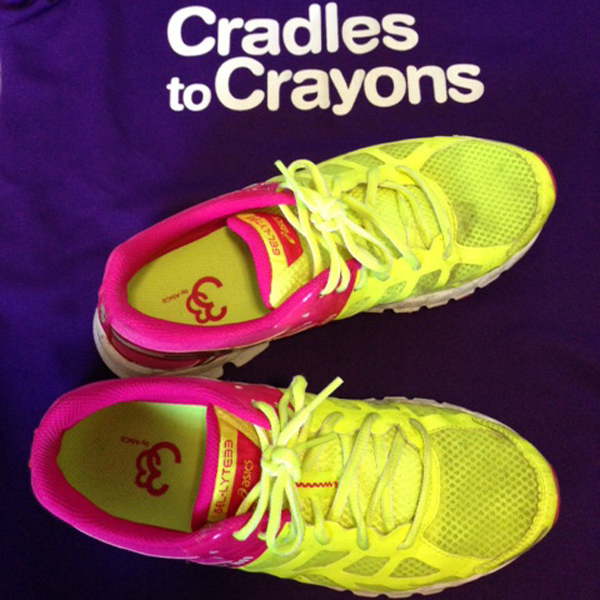 A celebration of months of training, a celebration of my network of incredible family and friends who supported me 110 percent throughout my journey to get to the starting line, and a celebration of the work done day in and day out by the organization that I was lucky enough to run for 2013 (Cradles to Crayons). I remember that throughout the early hours of my run, I just kept thinking about how LUCKY I was to be able to do this, to run the Boston Marathon, and to have such support along the way. I passed friends and family every few miles and felt stronger than I ever have. I was proud of myself for showing my daughters what hard work and commitment can look like, and for giving them a first-hand look at the result of those hours spent away from them when I would head out for a long run on any given weekend of training. It was an incredible, incredible morning and one of the happiest times of my life. What strikes me about the entire day is the extreme range of emotions that I felt in one day … pure happiness and joy, pure sadness and grief, pure worry and fear. There were minutes that seemed like hours when I couldn’t reach my husband or other close family/friends to let them know I was OK, to find out that they were safe. I couldn’t send out those text messages fast enough, my mind racing to think of who else I needed to check on, who else did I know who was supposed to be there. The fact that I, and my fellow runners, had run just about 26 miles was irrelevant so quickly, and rightfully so. It is just so surreal thinking about it now. I don’t know if that will ever change. What I do know is that the hours prior to this tragedy, when I felt humbled and supported and honored and genuinely happy … those cannot be taken away from me. Those are the hours that I am choosing to focus on, along with the incredible examples of goodness and hope that have emerged everyday since April 15. Thank you for the opportunity to share my thoughts … and my shoes.